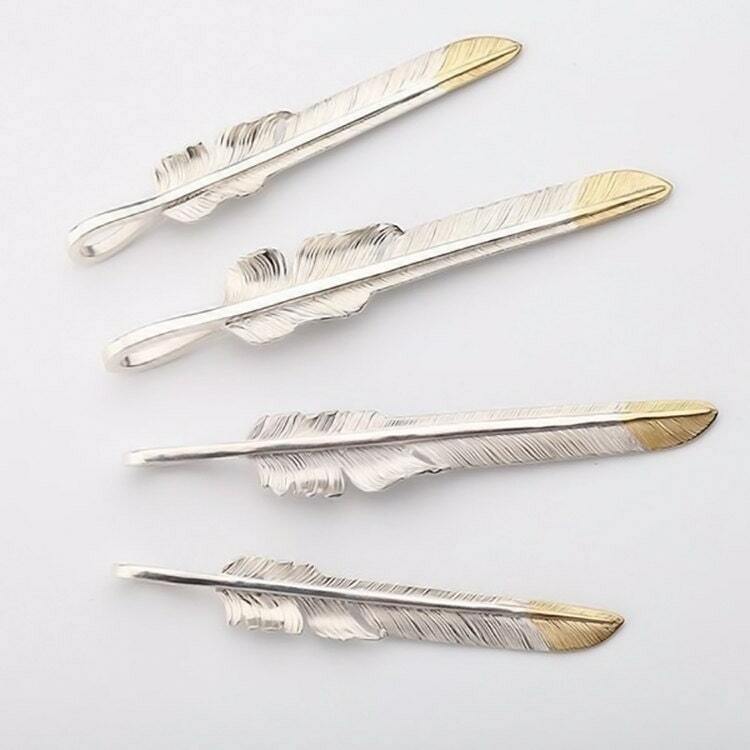 The sterling silver feather pendant is inspired by the Native American feather jewelry designs. 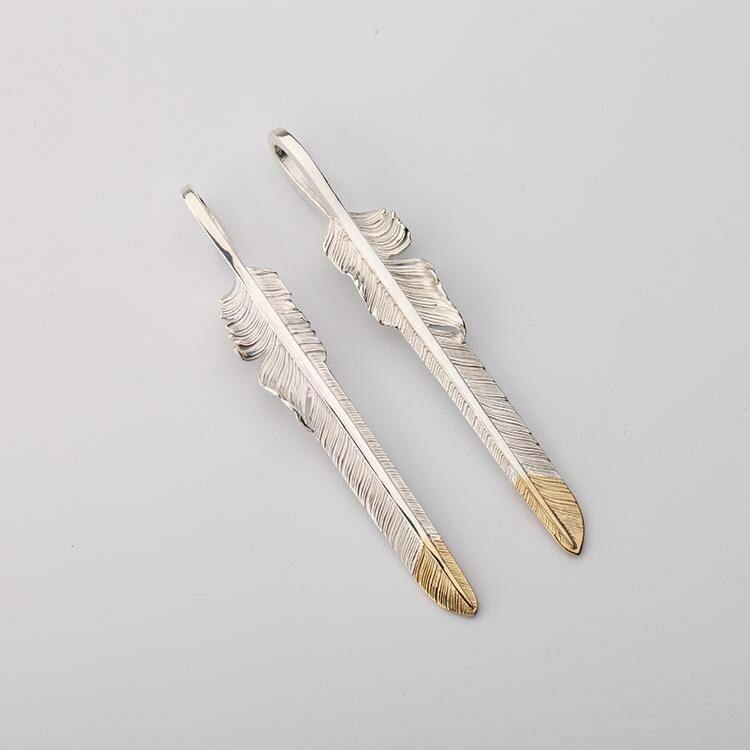 A simple silver feather with realistic details, spiced by an 18K gold tip - an elegant tribal charm that is ideal for daily wear. 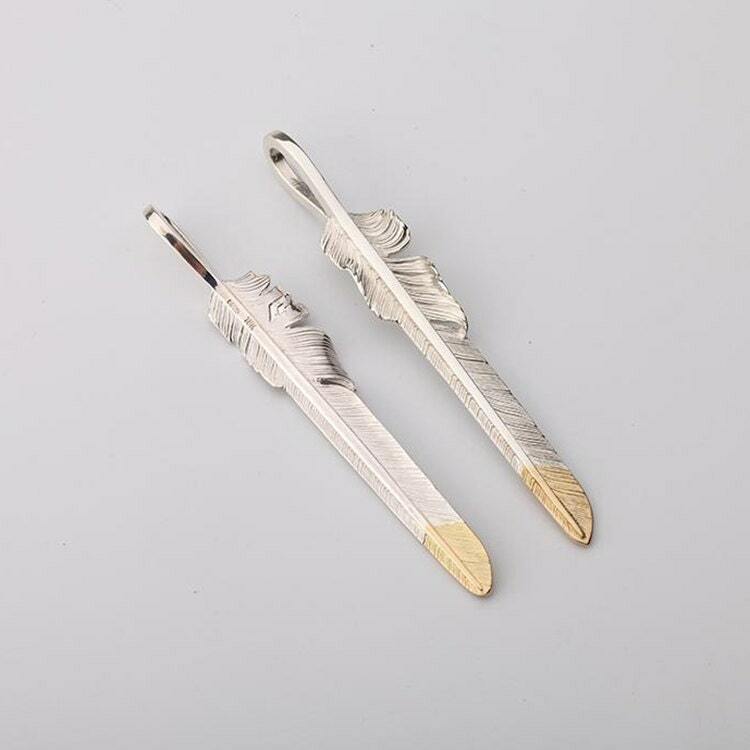 Just put the feather pendant on a simple silver chain, and you have a lightweight necklace that looks great at work and play. 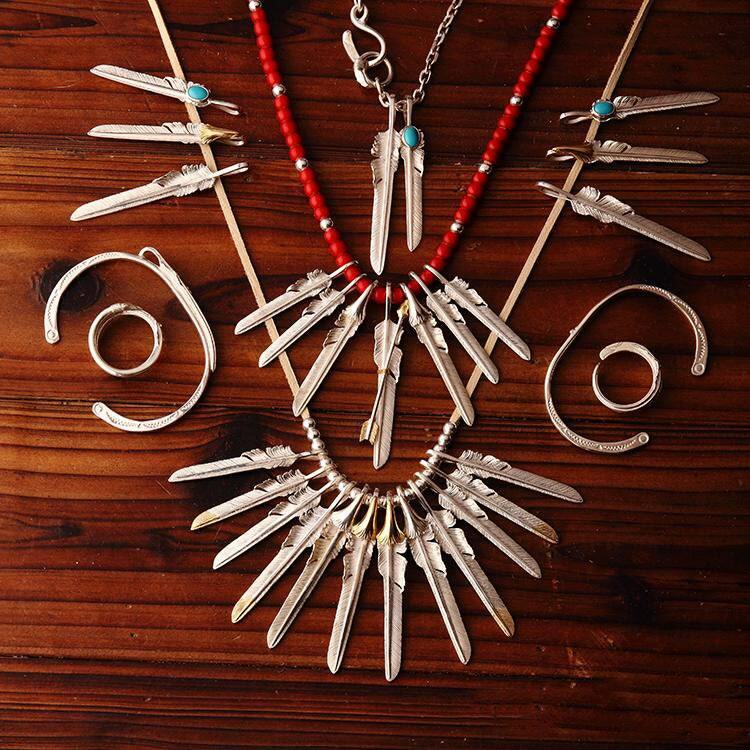 Or go wild - mix and match with other charms to build a custom necklace. 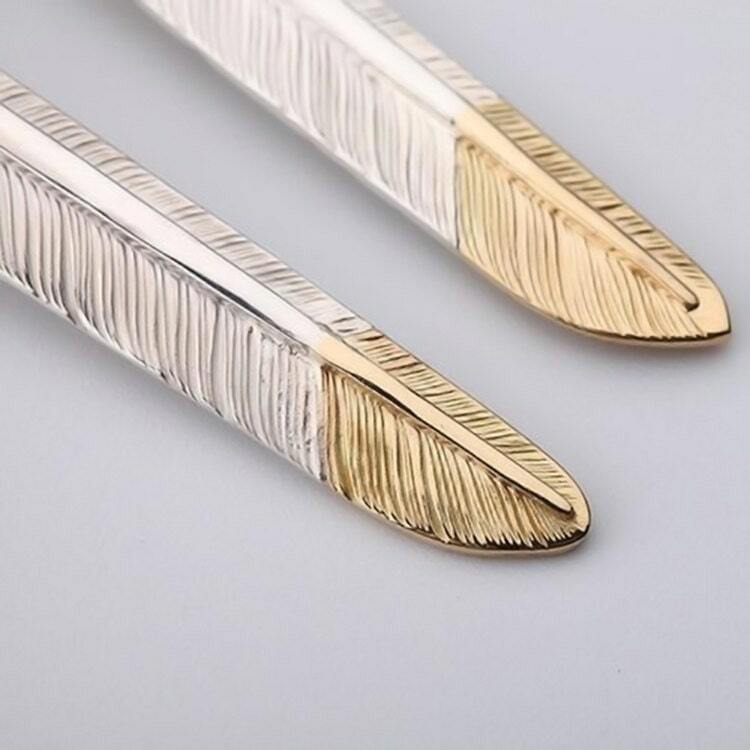 Available in 2 sizes - M, and L.